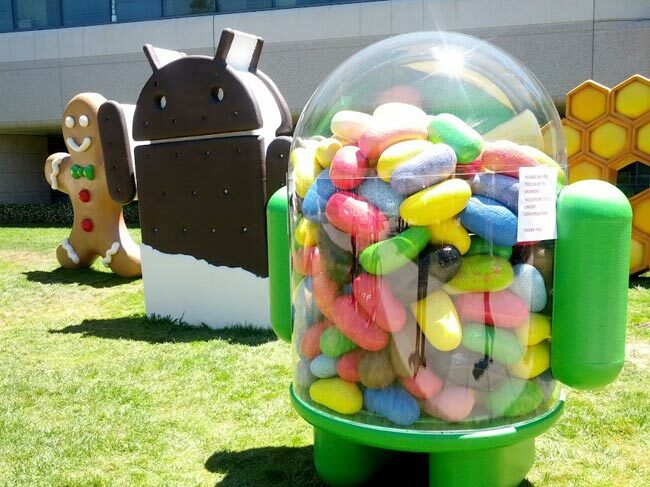 Today at Google I/O the Android team got to finally let Jellybean out of the bag (while they did actually “spill the beans” on the front lawn yesterday). Android 4.1 Jellybean will look very similar to Ice Cream Sandwich, but their “Project Butter” objective will allow them to make it much more fluid than before, and Google is calling the UI “fast, fluid and smooth.” Android has always had a little bit of lag to it, and one of the developers stated that with this iteration they were “declaring a war on lag” which is something we always love to hear. Jellybean will have a much faster frame rate, and has triple buffering graphics making everything the OS does smoother and easier to look at. Responsiveness will also be heightened due to this, and it will make the entire experience, whether native software or not, much smoother. Another big addition to Android 4.1 Jellybean is Google Now, which allows the search function to be more in-depth than ever before. It updates information in real time, responds to voice typing (which is finally offline in Android 4.1), and is aware of things like location and time of day. This is definitely a step in the right direction for search on Android, and making the experience easier to get through is always welcome. Android will now allow the homescreen more leniency to change, as widgets and apps can now push each other out of the way to make room for everything you want on your homescreen. The keyboard has also seen an update, with more predictability and voice typing enhancements as well. Google is also adding magazines and TV shows to the Play Store, which inceases the amount of content available to include just about everything you could want. Google now boasts 20 billion app installs with 600,000 games and apps now available to Android users. The Play Store unification is bringing Android users everything they want in one, simple media provider, and now we also have TV shows and magazines to choose from. Android 4.1 Jellybean will be rolling out to the Galaxy Nexus, the Nexus S, and the Motorola Xoom mid-July. This is a very timely update schedule and many users will rejoice to hear it, though with carrier variants of the G-Nex these times could change at a whim. Because Verizon and Sprint have CDMA Nexus’s, their updates can’t be controlled directly by Google, though this OTA update may reach these devices as well. We will be sure to keep you updated on the roll out process and let you know how Jellybean feels to use when we get our hands on a Nexus 7 tablet.